Coffee lovers, listen up! I’m so excited to present our very first FOOD giveaway on the blog! And even more excited that it’s from the organic gourmet coffee line founded by Rohan Marley (son of legendary musician Bob Marley), Marley Coffee. Through this company, he also founded the Kicks For Cause Foundation, giving back to the community on which his company thrives. The Foundation helps provide soccer fields and soccer camps to children of the coffee producing communities around the world beginning in Jamaica. For more information on these fabulous coffees, please visit www.marleycoffee.com. There are two ways to enter this giveaway. Do both and you double your chances of winning! Winner will be announced on Sept 1st! Good luck! 6 more months before I can drink all the coffee I want. This coffee sounds delicious! I love coffee! I’m fasting and just the thought of the sweet aroma is making my mouth water.. I’m an addict. I Love Coffee!….it makes me more awake and energized. I love coffee. I expect to hear steel drums when I open a bag of the Marley coffee. It would put me in a good mood for the whole day. if you only knew how much coffee i drank and listened to the marleys jam. i deserve this. i deserve this bad. 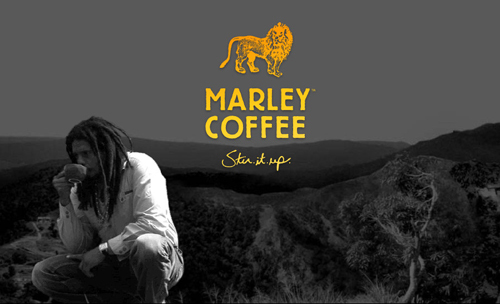 I want some Marley coffee! the 2 things i miss the most during Ramadan are Coffee & Water! this look AMAZING..i’m salivating =] and i just Retweeted! Marley Coffee is IRIE, Mon! I wanna win some!!! yesssssssss! I’m madly madly madly in love with Marley Coffee!!!! One day I will reach my target: distribute it in Italy!! One love is definitely my favorite marley coffee. It is so smooth and full bodied. Nothing better than sitting out on the deck drinking a cup of it to start my day. Check out their awesome clothes line. I love wearing my jacket and having people ask me about it. Yum I love coffee I drink about 4 cups a day and have yet to try Marleys coffee. Yes I! If only all food was grown like Marley Coffee, the world would be a more uplifted and positive place. One Love! Now put it in K-Cups and make my day! Marley + coffee = ONE LOVE!!! Love my coffee and I will love your coffee equally. I LOVE coffee, and would love to try this! Please let me know if this giveaway is closed to Canadian addresses (I live in Canada). Coffee, coffee, coffee…. Oh I miss my morning coffee in Ramadan! This stuff is reminding me just how much I miss coffee. I hope I win this! Sounds aromatically delicous!!!!!! A day without coffee is like a day without love.